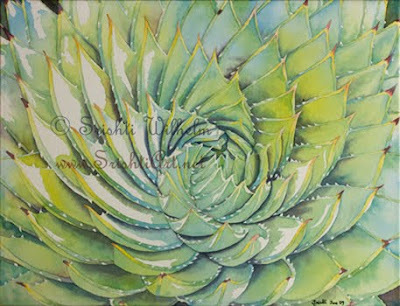 It’s watercolor on paper that is stretched over a frame like one would do with a canvas and it’spainted on the sides. Inspiration from Joyce Faulknor. Before all the computer problems and my extended break from painting i believe i left a comment here on this one! I think it is brilliance plus! Your watercolour skills just keep getting better and better! Congratulations on another wonderful work! Thanks Perugina! you are so kind! Glad you are back in the blogger world!